To one of my favorite clients and her husband ... you know who you are..Happy 50th Anniversary and many blessings to you both. 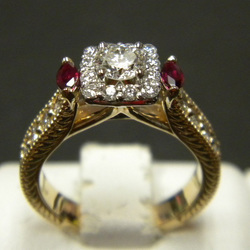 Take a look at what we created for this "ruby loving lady" with her stones and her imagination! 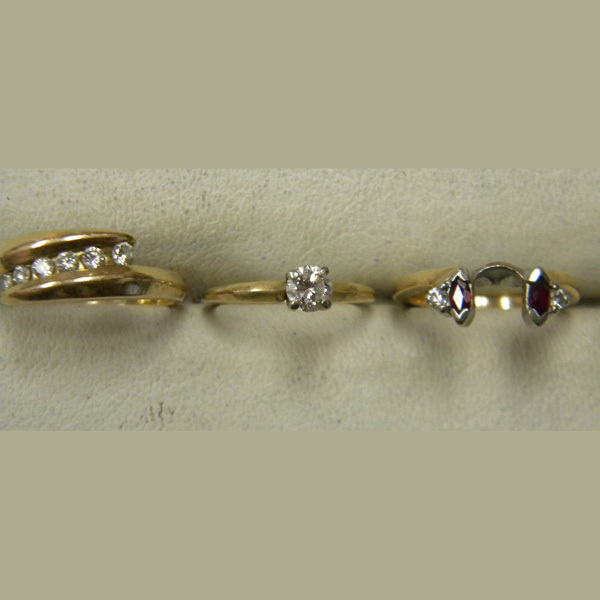 In the "before" picture, is her original solitaire, the diamond band was for their 30th and the ruby wrap for their 40th. Now they are all together in one ring for their 50th. 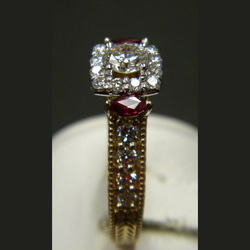 She admired the antique design and wanted to focus on her center stone and her rubies. 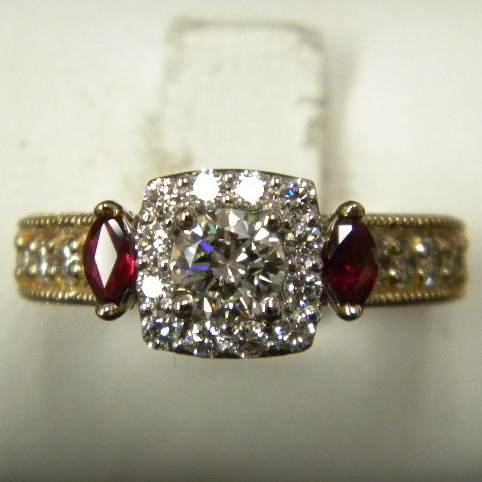 The only additional diamonds were for the halo. 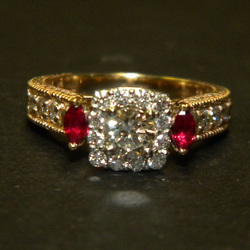 The yellow gold shank shows the etching beautifully with the diamond and halo set in white gold to enhance the "bling".